In addition, John Wm. 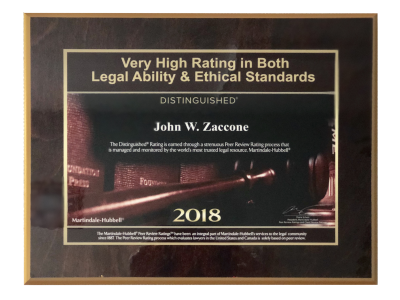 Zaccone is admitted to the United States District Courts for the Northern and Western Districts of New York, the United States Court of International Trade and the State of Oregon. He has represented clients in arbitration proceedings before the American Arbitration Association and in administrative proceedings before various agencies of both the State and City of New York. If you have been served with a Summons and Complaint or demand for Arbitration, you have a limited time to respond. And if you wish to commence a lawsuit or arbitration proceeding against a person, business or not-for-profit, you have a limited time to initiate the action. When the need arises for representation in a civil litigation matter, contact John Wm. 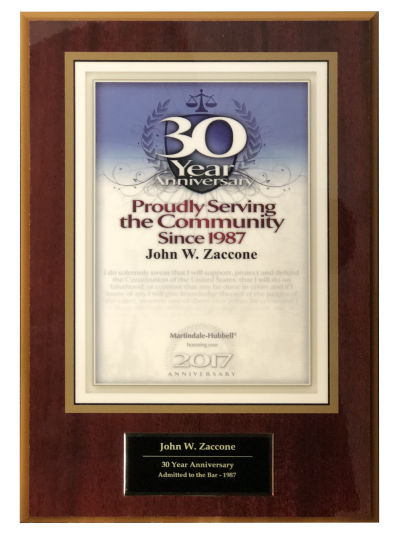 Zaccone to discuss your options and best represent your interests.